The vision for the circular economy is to decouple economic growth from the use of global resources. Naturally, circularity raises multiple questions for industry, including waste management, consumer behavior, corporate responsibility and decarbonization. The challenge is to move from a circular economy vision to a viable and sustainable business model. While circularity provides a framework to potentially reduce corporate environmental footprints, it takes sound measurement with a Life Cycle Assessments (LCA) methodology to guide companies to prioritize and analyze the effectiveness of their efforts. The prize? Purposeful business aligned with the limits of the planet. The European Environment Agency and the Ellen MacArthur Foundation – both key players in the circular economy – reached a level of consensus, defining circularity as an alternative to the current Take | Make | Consume | Dispose economic model. 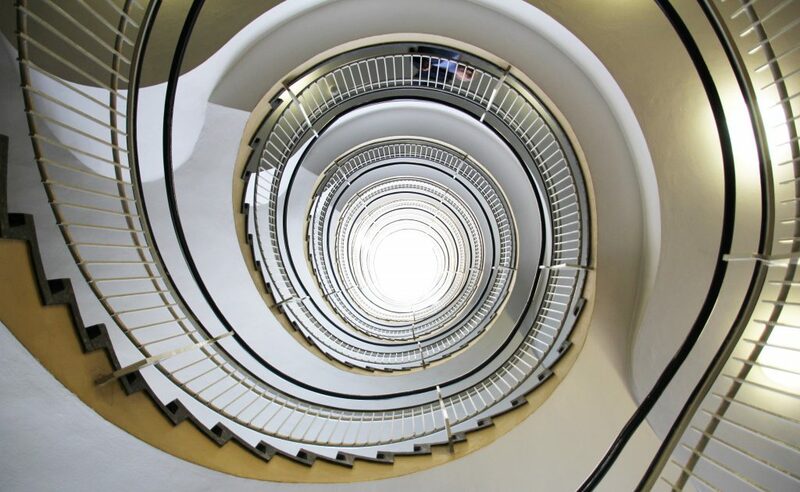 Because circularity is still relatively new and not fully mainstream, sustainability practitioners have debated the complementarity (or lack thereof) between LCA and circularity. Let’s shed some light on this debate. Based on the definition above, circularity is a vision for sustainable business models, rather than a methodology. On the other hand, the ISO 14040 and 14044 standards walk businesses through every step of implementing Life Cycle Thinking across their value chain. Where circularity systematically encourages recycling, LCA may leverage, in very specific examples, this scientific methodology to point to energy recovery as being more environmentally performant. 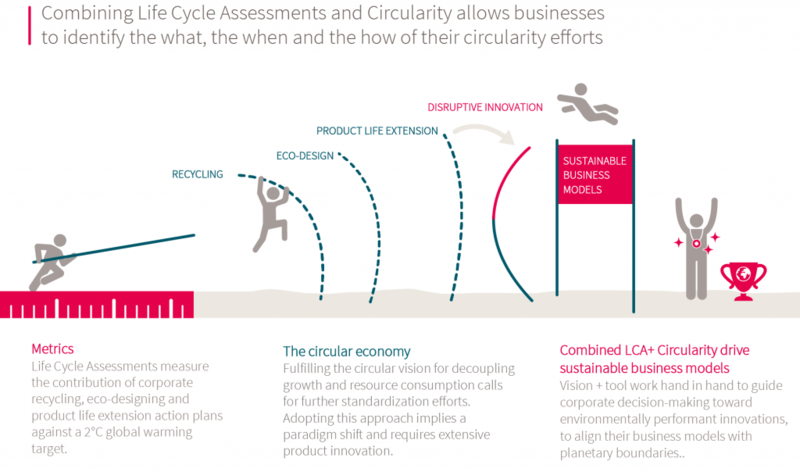 Where circularity focuses on resources and emphasizes the economic implications of using recycled or reused materials and product life extension, LCA identify environmental hotspots across a product’s entire life cycle. Circularity is a vision for the global economy to shift gears for a sustainable future, where LCA add an environmental dimension for decision-makers to explore new design solutions. To a large extent, both require similar data. Raising the bar for industry to combine LCA and circularity, BASF used LCA to assess the environmental performance of a fruit and vegetable bag they developed using the partially bio-sourced and 100% compostable ecovio® material. Using comparative LCA, BASF could confirm ecovio® improves the environmental performance of their bags against conventional alternatives, by enabling consumers to reclaim and collect more food waste. This increases compost and bio-methane production, which ultimately fosters circularity. Businesses are still developing relevant circularity performance indicators. They tend to focus on the impact of end-of-life processes, considering for example how much they recycle and the portion of their products that is in fact recyclable. The result is a diversity of scientific considerations, which currently does not allow for aggregation in a single metric. Turning to LCA does, however, allow companies to compare circularity pathways and select the most environmentally performant. Identifying environmental hotspots helps a company pinpoint where to focus circularity efforts. Based on the same metrics, eco-designing processes empower businesses to select design solutions by targeting the products, impacts and life cycle stages with the best environmental outcomes. L’Oréal notably developed the SPOT methodology to measure their eco-designed product’s social and environmental improvements. Now an integrated tool, SPOT is a mandatory marker for the entire group’s product design teams. Indeed, using LCA metrics allows businesses to design products for the circular economy. It is also a great starting point for bold sustainability goal setting. For instance, Danone worked with Quantis to develop the PETER tool and launch the “Recyclable by Design” concept, with a particular focus on packaging. PETER now computes key indicators in a way that empowers internal innovators and streamlines the group’s approach to science-driven goal setting aligned with Danone’s broader sustainability strategy. Increasingly attuned to planning for limited access to global resources, businesses have turned to the vision of a circular economy to improve their current practices. Building on the global drive toward goal setting, circularity propels businesses to plan and track progress on all their environmental challenges as they do with carbon. Backed by LCA, circularity guides companies one step further, to consider planetary boundaries in their sustainability strategies. In other words, it is the drive to align corporate action with what the Earth can accommodate without suffering irreversible damage. Like vaulting champions use their poles to set their records against a common yardstick, companies can also harness LCA and circularity to prioritize their efforts and ensure their businesses models are fit-for-purpose (see graph). In a dense ecosystem of sustainability tools, LCA are the compass guiding companies toward aligning their circularity goals to larger, purpose-driven strategies. For guidance on combining LCA and circularity, contact Quantis’ expert Marcial Vargas-Gonzalez.